Dental implants are tiny titanium posts that get placed in your jawbone to act as artificial tooth roots. Titanium is biocompatible, which allows the implants to fuse to your jawbone. This creates permanent and sturdy supports for your restorations (false teeth). Dental implants are the only tooth replacement solution that can almost match the strength of your natural teeth! Because the implant fuses to your jawbone to become part of your body, you can use them just like your natural smile. That means that you can eat all of your favorite foods without worrying about damaging your replacement. Solutions like dentures only provide you with 25 to 50% of the power of your natural pearly whites. One of the best parts about dental implants is that they have a 98% success rate. 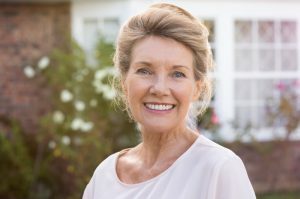 There are a few requirements like jaw strength that contributes to whether dental implants are right for you, and the best way to know is to see your implant dentist in Longmont. They’ll give you an evaluation to make sure you’ll have an easy and successful procedure. Your natural tooth roots can get cavities and cause your teeth to fail. Because dental implants are titanium, you don’t have to worry about cavities or decay. Just brush and floss like you would any other tooth! Having a gap in your smile can hurt your appearance, but did you know it can hurt your health too? According to the Mayo Clinic, people without teeth are at risk for a shorter life by 10 years on average. This is because you can’t maintain a healthy diet if you don’t have the chompers to chew with. Did you know that when you lose teeth, your jaw shrinks and deteriorates? Your tooth roots provide the stimulation your jaw needs to thrive and survive. When you lose teeth, it shrinks because it’s not receiving the same stimulation. Thankfully, dental implants fuse to your jawbone to stimulate and preserve its health. Does it sound like dental implants are right for you? Now that you know about all the ways you could benefit from this tooth replacement, talk to your dentist to get started on a great looking and feeling grin! Dr. Dan J. Maurer and Dr. James A. Maurer are a team of skilled dentists who are experienced in the placement of dental implants. They like seeing their patients’ boost in confidence after making their smiles whole once more. They currently practice at Longmont Complete Dentistry, and they can be contacted through their website or by phone at (303) 772-7000 for any questions.